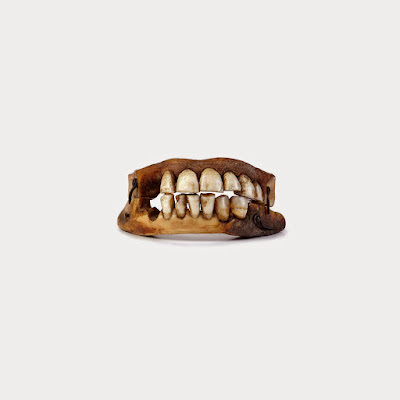 To meet the 19th c. European demand for dentures, the mouths of men killed in battle were plundered for their teeth. The human teeth were more valuable and longer-lasting than those carved from elephant, walrus, or hippopotamus ivory. Dentists made no bones about where the teeth were harvested, advertising them as "Waterloo teeth" or "Waterloo ivory," and guaranteed that they came from young, healthy soldiers rather than buried corpses or executed criminals. A British plunderer named Butler openly wished for a huge battle, boasting “there’ll be no want of teeth, I’ll draw them as fast as the men are knocked down.” He was half right, as the business turned to imports from the American Civil War.